To make a long story short, I’m going to be writing online articles every Tuesday, Wednesday and Thursday at www.LowcountryDog.com. There’ll also be some stories from Europe as Max and Dulcie have adventures of their own! So please bookmark the page and comment often…oh, and help me spread the word! 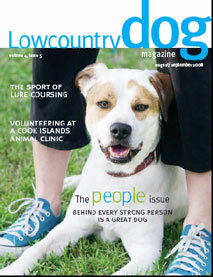 Even if you’re not in Charleston and are just a dog lover, you’ll love this magazine! ← Pozdravy z Prahy, Ceska! congrats erin! that is so awesome!